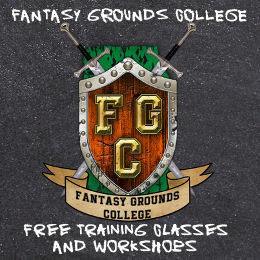 FG College (Fantasy Grounds College) is a Discord community of amazing guys & gals who will attempt to help you both; LEARN and PLAY Fantasy Grounds (and whatever game you want to play in Fantasy Grounds!). Our Discord server is made up of Teachers volunteering their time and DM prowess to help Students (YOU) learn. We’ve just undergone a huge growth spurt and have added features including regular exhibition sessions with experienced GMs, adding teachers from multiple time zones (US, UK, JP), support for the other genres and versions of DnD and a community that supports DMs, content creators, industry people and artists! 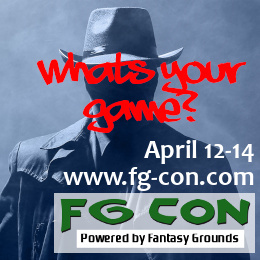 This is a community based server, and ‘FG College’ is NOT affiliated with the official Fantasy Grounds Company or Smiteworks, LLC. 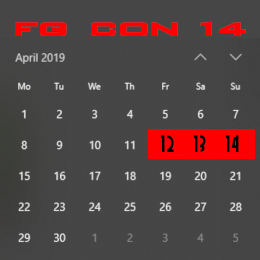 · Pre-planned and on-the-fly sessions ready to go for LEARNING and PLAYING! Have a specific question? Join us after this session and contact us and we will reply ASAP. Since registring for the event, I have stumbled upon one of your (excellent!) videos on Youtube explaining character creation. Thanks to this video-based exaplanation, I was able to generate a few PCs for D&D 5e and I now understand the character creation process in FG. I therefore believe that I should free my slot for someone who does not know the system yet. I received your email saying that there had been originally a scheduling error due to time zone differences. Double-checking the times, I found that this bumps way too close for comfort to my regular weekly game, so I need to drop out. Where is the channel need to be on?